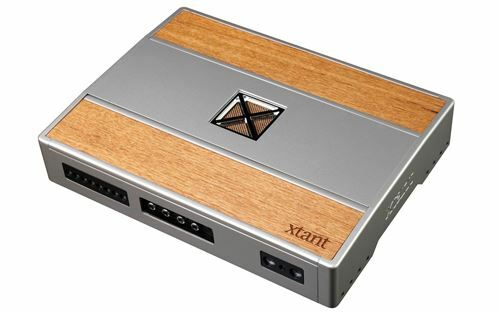 The Xtant 400X4 is a high performance audiophile level 4-channel car audio amplifier. 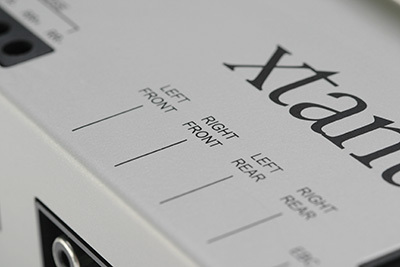 Loaded with patented features including Smart Engage Technology, Pure N-Channel Design, and Xtant Technology Cooling, the 400X is the perfect amplifier for high power full-range speakers in a complete audio system. xtant has long been known as the pinnacle of quality in the car audio industry. Known for high end features and cosmetics, xtant stands apart with its innovative use of materials and focus on sound quality. The xtant 400X4 is the next generation in xtant amplifier design. The 250X2 produces 50-watts RMS power at 4Ω and 100-watts RMS at 2Ω. This unit features several technology features that set it apart and includes a design unlike anything on the market today. The 400X4 features sophisticated technologies designed to give you the ultimate listening experience. This amplifier features a class A/B design that delivers exceptional sound quality across all volumes. The patented Pure N-Channel design uses the same MOSFET style on both the positive and negative side of the amplifiers output stage. This design allows the amplifier to function more efficiently, not losing power as wasted heat, and it better controls the speaker delivering less distortion and better overall sound quality. 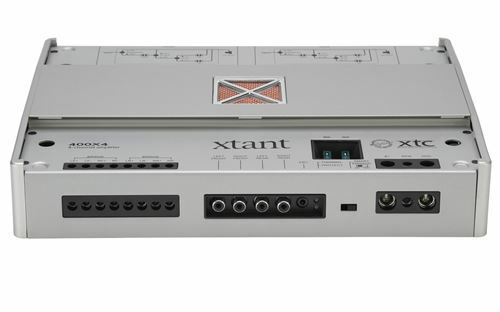 The xtant Technology Cooling is a variable speed fan cooling technology that also aids in reducing heat build up so the amplifier better manages potential thermal events. This technology allows the fan to spin faster as heat or output increases and it spins slower when the amp is cooler or output level decreases. Patented Smart Engage technology allows the amplifier to be connected to a factory headunit and eliminates the need to run a remote wire to the amplifier. The speaker connected interconnects sense voltage through the speakers when the radio is powered on, causing the amplifier to turn on as well. This saves time during installation and limits the potential for damage to occur to the dashboard. The Intelligent Surface Mount Design uses smaller more efficient parts than other amplifiers that use a through hole design. These parts produce less heat and are more vibration resistant making this design ideal for amplifiers used in trunks and other tight spaces. The 400X4 includes an "Audiophile" mode that allows you to bypass all of the amplifier equalization so that you can either enjoy the sound as produced by the source directly or for use with an aftermarket equalizer. This is for true sound quality enthusiasts that won't settle for just good, but that demand great. If sound adjustment is needed at the amplifier, the 400X4 includes both a variable low pass and a variable high pass crossover for custom tuning of the sound based on your prefernce. The amplifier is finished with copper and wood accents. 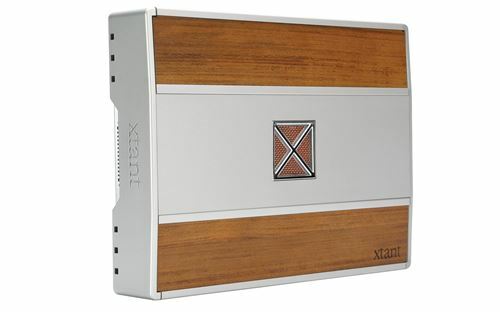 The top panels are removable allowing access to the feature set and the wooden inserts can be removed and customized/replaced to match any interior or installation.